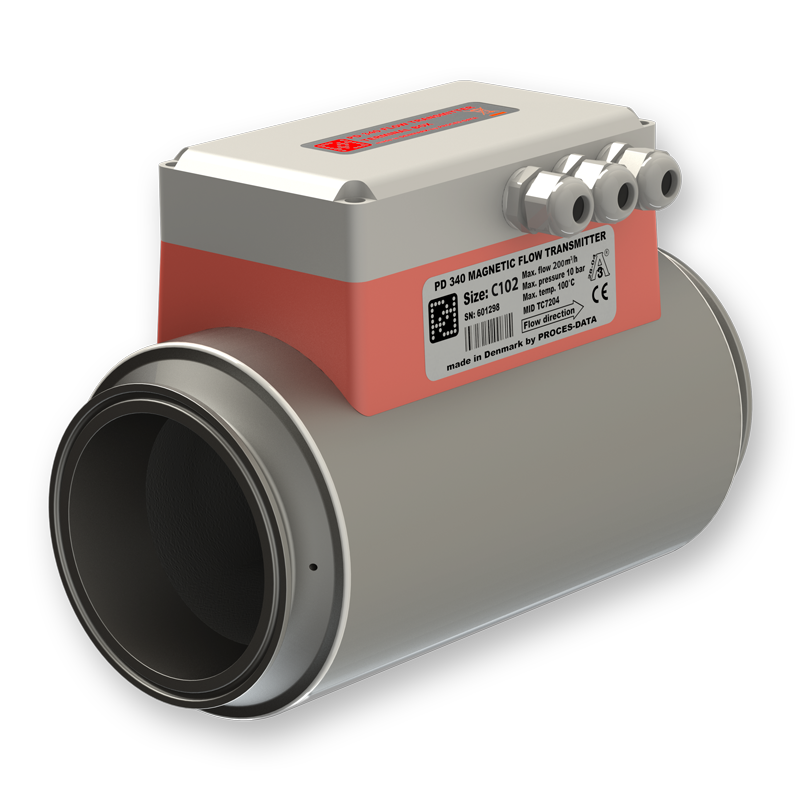 With the introduction of the C 102 (4″) model, the PD 340 family of hygienic flowmeters is now able to measure flow rates up to 200 m3/h. The meterhead and the electronics form one integrated unit, wrapped in a stainless steel housing, on which the removable terminal box is mounted. The electronics and the terminal box are identical with the versions used in the existing PD 340 range, so that existing plants can be upgraded to the new, larger flow transmitter without changing the control system or the wiring. The robust construction makes it ideal for harsh environment applications, such as trucks for milk collection. PD 340 C 102 – Different, seen from the outside, but inside with same technology as the rest of the family. The new PD 340 C 102 is based on the same technology as the existing PD 340 range of meters, and its development has again been viewed with applications within dairies, breweries, and other food industry sectors in mind. In the food industry, it is very common for the same flowmeter to be used to measure a number of different liquids, which typically have large variations in viscosity. Unlike many other flowmeters, this is no problem for the PD 340, because of its unique construction. Even when calibrated on water, it is still capable of measuring products having a much higher viscosity, such as cream or yoghurt, while still obtaining high measurement accuracy. 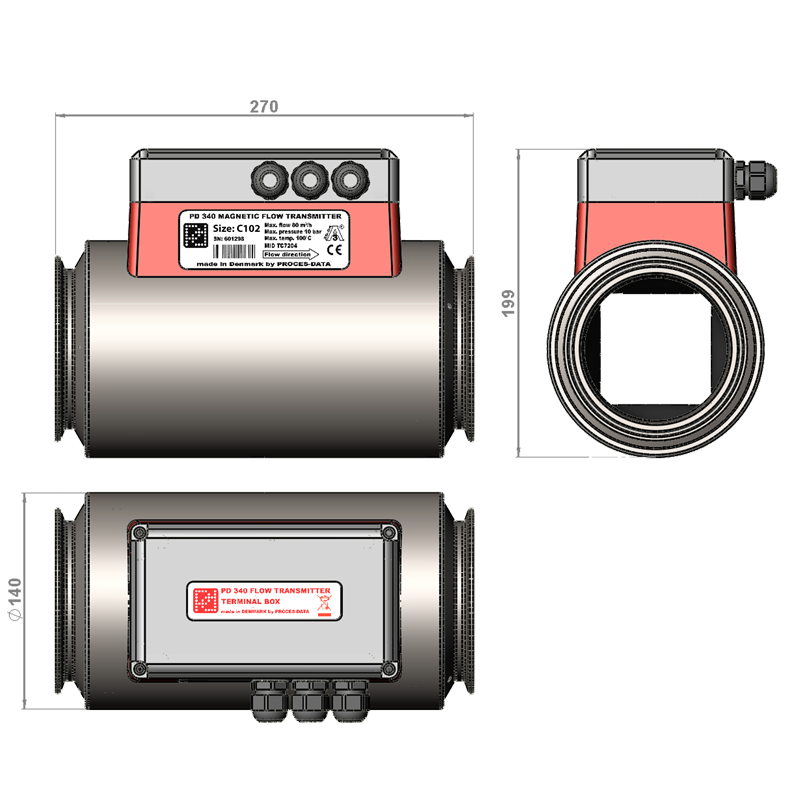 Like the rest of the PD 340 family, the C 102 model is able to accurately measure flow rates down to 1 % of its maximum flow rate (100:1 turndown), when the linearizing function is enabled. Just like the rest of the products from PROCES-DATA, the PD 340 is manufactured at our factory in Silkeborg, where the product development takes place as well.